If luminaires were rock stars and darkness their stage, their traders promoters of light and their fans luminous figures – they would have packed their equipment way back and would be on tour. How would you approach the task of designing a branded point of presence in the confusing environments of lamp stores... When our long-term client Nimbus asked us to do exactly this we knew that we had to develop something bigger than just a point of sale. 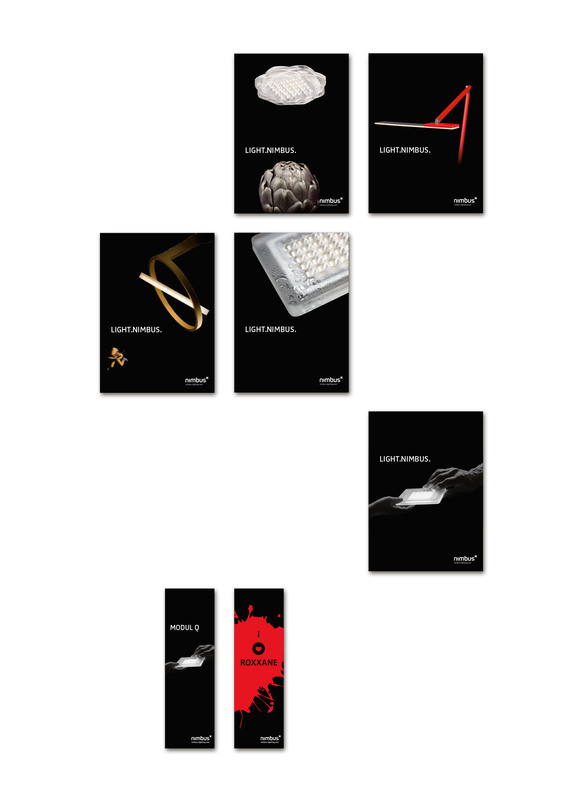 We proposed a concept where the protagonists, the Nimbus luminaires, became rockstars and left the factory to go on tour. 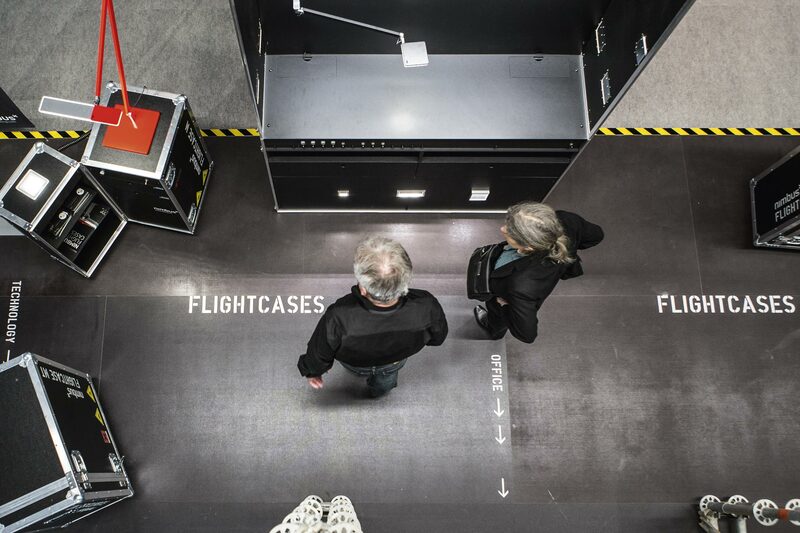 A flightcase basically has one mission: protect some content because this content is worthwhile. 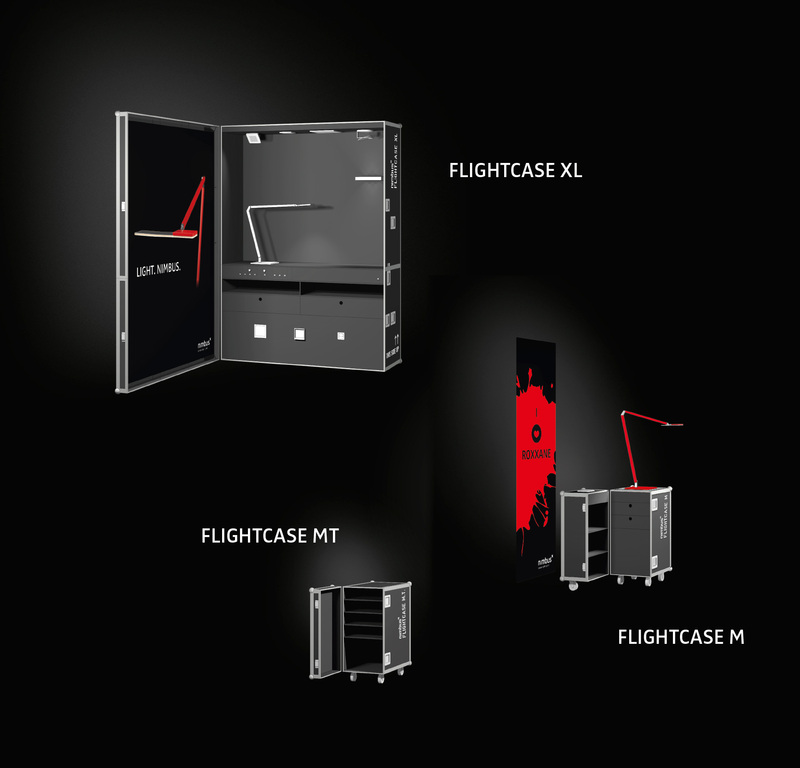 Sometimes the flightcases look much better than what is hidden inside. 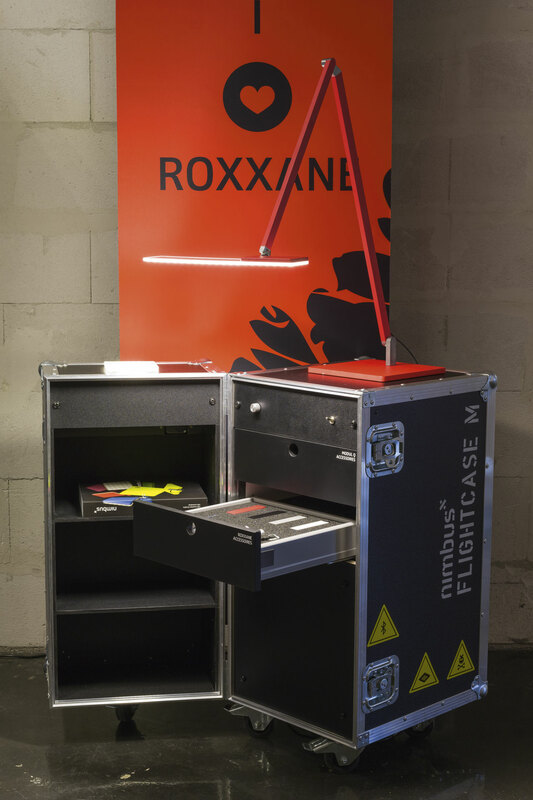 No problem at all in our particular case, the luminaires look great when displayed on the flightcases. Drawers with custom-made foam inlays provide supplementary material samples and a selection of huge banners together with some cool stickers and stenciled typo create this specific look we wanted.